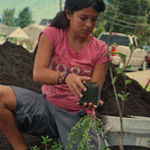 Whether you’re interested in home rain gardens, a community project at a school or park, or collaborating with a government partner on a public project, green infrastructure installations beautify yards and neighborhoods. Plus, the installations are key to preventing polluted runoff and protecting local rivers, streams and Puget Sound. 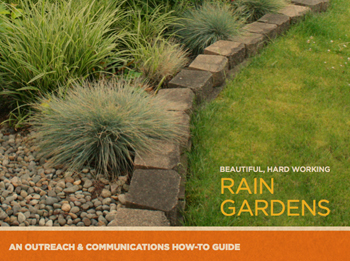 With the help of the green infrastructure community of Puget Sound, Resource Media developed a rain garden communications and outreach guide. It includes best outreach practices, effective messaging and troubleshooting. 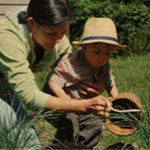 This guide was produced with support from The Russell Family Foundation to support green infrastructure proponents in the Puget Sound region. We also produced a geographically neutral version of the guide to support the efforts of rain garden proponents in other parts of the country. 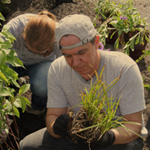 On this website you will find resources to support your rain garden project. With your help, we can keep the Pacific Northwest’s iconic waters clean and our communities thriving! 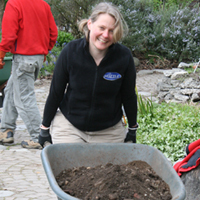 Getting a permit for a rain garden along your street: contact Cari Simson, csimson@antioch.edu. 12,000 Rain Gardens. Connect with them on Facebook.